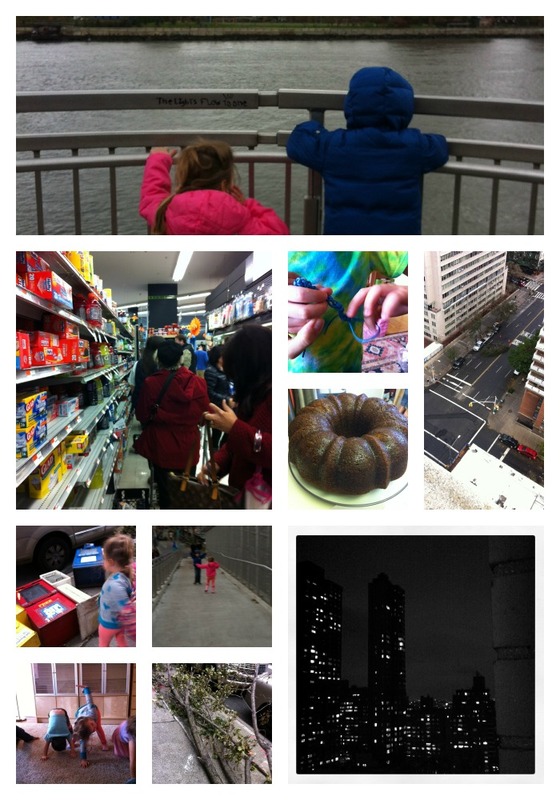 This entry was posted in Crafts, Current Affairs, Wordless Wednesday and tagged #wordlesswednesday, 10/20/2012, 10/29/2012, crafts, finger knitting, Hurricane Sandy, new york city, nyc, Power outages, pumpkin bread, wordless wednesday by jessica. Bookmark the permalink. thank God you’re all safe! 🙂 Happy WW! Glad you are safe! Good pics too! Cool pictures. 🙂 I like the collage idea. Glad you’re safe! Love the collage. We’ve been through a number of hurricanes here on the Texas Gulf Coast, and it is no fun! We’ve been following along on the news, looks like a lot of horrific damage in NY and NJ. Keep safe! The first thing I spotted was the cake! lol – You can tell where my brain is this morning. Glad to hear it wasn’t as bad in your neighbourhood. It was frightful following on the news. Glad you are safe and it all worked out for the best. Thanks for linking up this week, hope to see you again next week!